and then based on that data users can search and create charts from it. Pretty simple concept. My problem is I'm not sure what the best way to illustrate how users would create charts from this data. The charts vary from bar to pie to gauge. I need to show how the data is constructed to create a chart. As you see here, its just flat but based on the data I could create a chart like: Average Numeric Grouped by Text. The group would be the 'y-axis' but I can't really use that as it wouldn't apply for a pie chart. The 'x-axis' would be have values like count of, average, sum, etc based on the group. I think it would benefit the user to be able to create the chart using a blank canvas, in a WYSIWYG format wherever possible. This way there is something tangible to think about right away, rather than having to select from potentially confusing options ("statistics"?). On the "canvas" there are two main areas to start: the chart box and the legend. 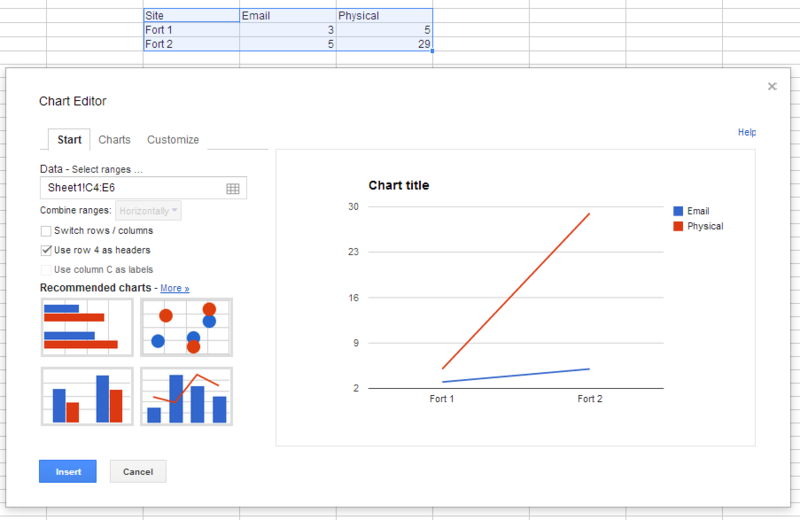 In the chart the user must first select the type of chart, and then can click each data element to modify it. In the legend, the user can add/remove new sets of data. Once a chart type is selected, the axes areas appear and can offer some customization options. Not the answer you're looking for? Browse other questions tagged forms business-application charts statistics or ask your own question. How to accessibly specify units in a table?